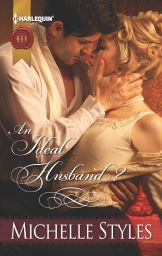 I just had my first peek at the cover for AnIdeal Husband? I think it captures the mood of the book beautifully. My lovely editor got back to me at the end of last week and had a few more tweaks she wanted for my latest Viking. They really made sense so I did them over the weekend. And I think the manuscript is much stronger. Hopefully my eidtor will think so as well. I have started on my next Viking. I am using the Alexandra Sokoloff index card method for plotting as it does help. It was the whole idea of using post it notes, rather than actual cards. It does give me an idea of the structure so I can concentrate on the important bits -- the characters and their interactions. It also reminds me of things that are needed. And I can write little notes and move them about. I also don't need to just have a certain number of cards. Sokoloff's other idea of thinking of words and images with will reoccur through the story is very interesting. How do you show the changes and make the images truly count? At the moment, it is how my mind is working and so I am going with it. I have learnt that my mind is apt to go off on some tangent at some point but it is all about working with what works for the book.